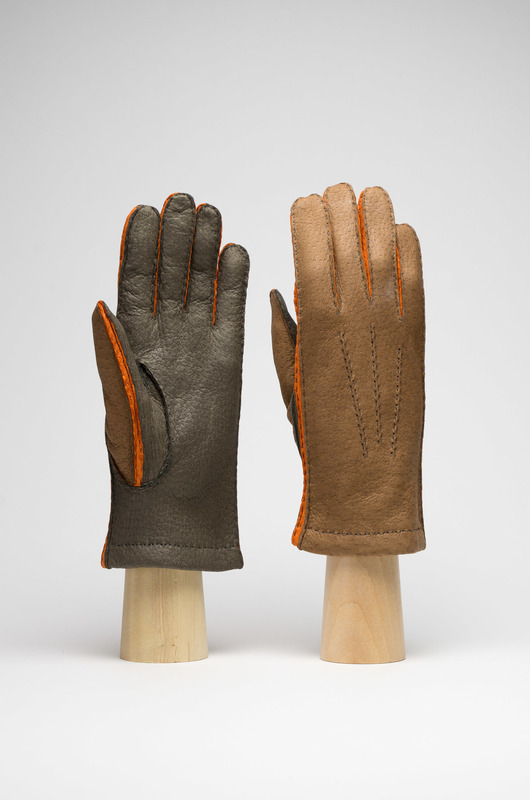 The source of this exceptional quality leather is a wild hog from South America. The peccary leather is appreciated for its extreme softness, its waxy grain surface and its loose ‘woolly’ fibre structure. 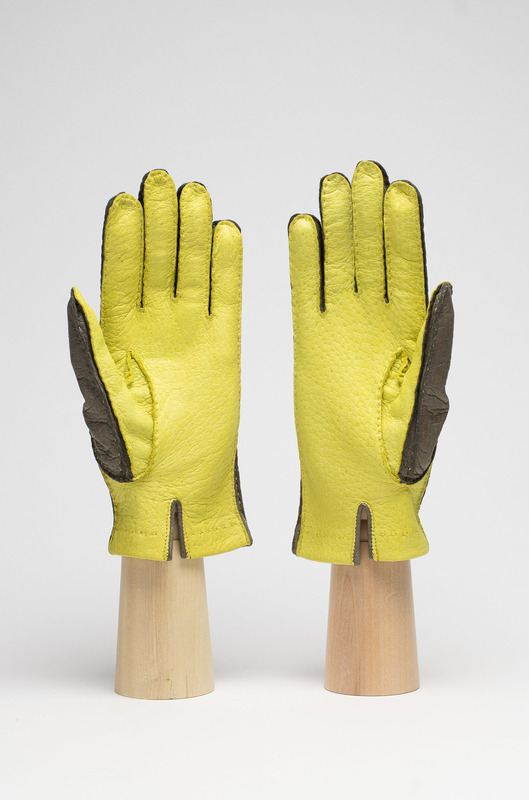 Nevertheless, due to the extreme resilience of the leather, a pair of peccary gloves lasts a lifetime.